The goal for Phase Two is to develop the single unit proposals and to explore the potential for a mini-cluster of three units. We encourage the finalists to propose sustainability strategies appropriate for affordable housing which address energy use, water conservation and alternative septic systems. Please include a washing machine and composting or incinerating toilet in each unit. The design can be modified within reason and should be recognizable after all alterations. Please submit the following material on a total of three 24" by 36" boards (landscape format), which will be hung one above another. One of the three units should meet ADA requirements. Please include a plan and drawings that convey the vision for the shared spaces between the units. These can be sections, aerial views or exterior perspectives. Please supply an estimate of construction cost itemized by trade on one 8 1/2 by 11 sheet. Size of the model should be 18"x18". The base should be minimum 1" thick at its shallowest point. Please provide a design for a AADU on two 8 1/2 by 11 sheets. 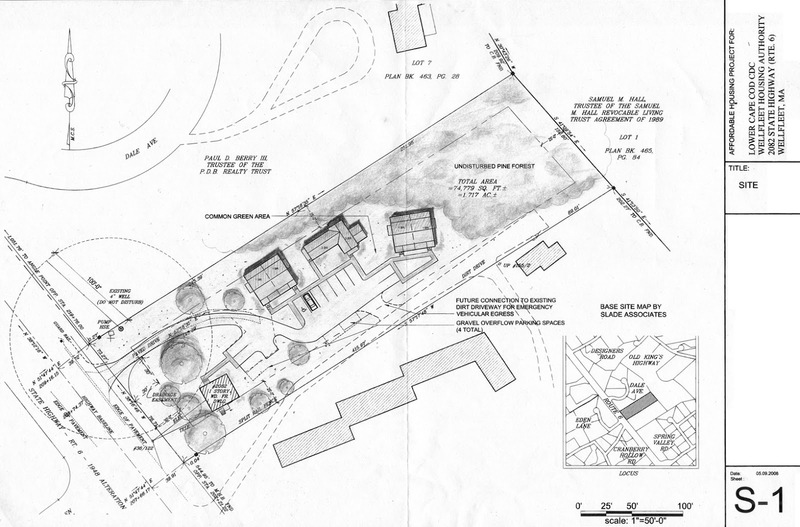 The site plan can be on a separate sheet. The last page should include a short narrative of the project and a very short bio of the participating team members.